Appearances can be deceiving. 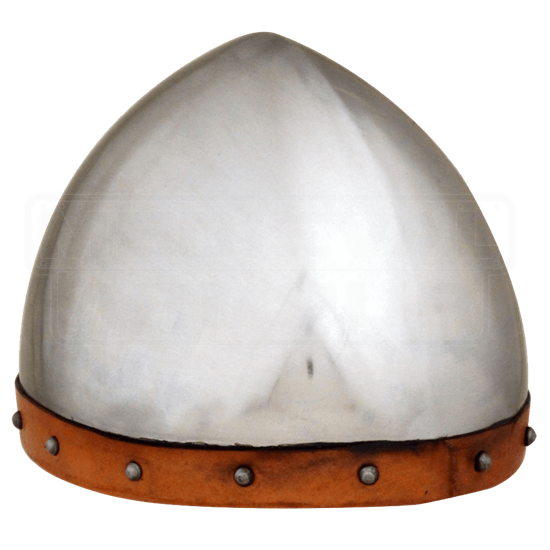 As basic as this Economy Domed Helmet might seem as a skullcap, it was actually a design that was favored by countless warriors, from the crusaders in the Holy Wars to archers and foot soldiers on the medieval battlefield. The secret to its success was the light design and versatility, which allowed it be easily worn with other protections, while its hardy design still served to effectively keep a warriors head safe from impact and attack. On this model, the skullcap protection is domed slightly, to help divert force away, while also featuring a leather liner around the brim of the helmet. This helmet is made entirely from 18 gauge mild steel. The helmet comes with an internal liner, and is offered in one size. This Economy Domed Helmet is from a line of helmets and armors that are designed to be cost-effective, offering the maximum protection possible for the lowest price possible, making each piece a fine bargain to be had, as well as solid protection to wear. The skullcap was first favored by crusaders, who wore it as secondary protection, over (or sometimes under) their mail coifs, as well as under their great helmet. 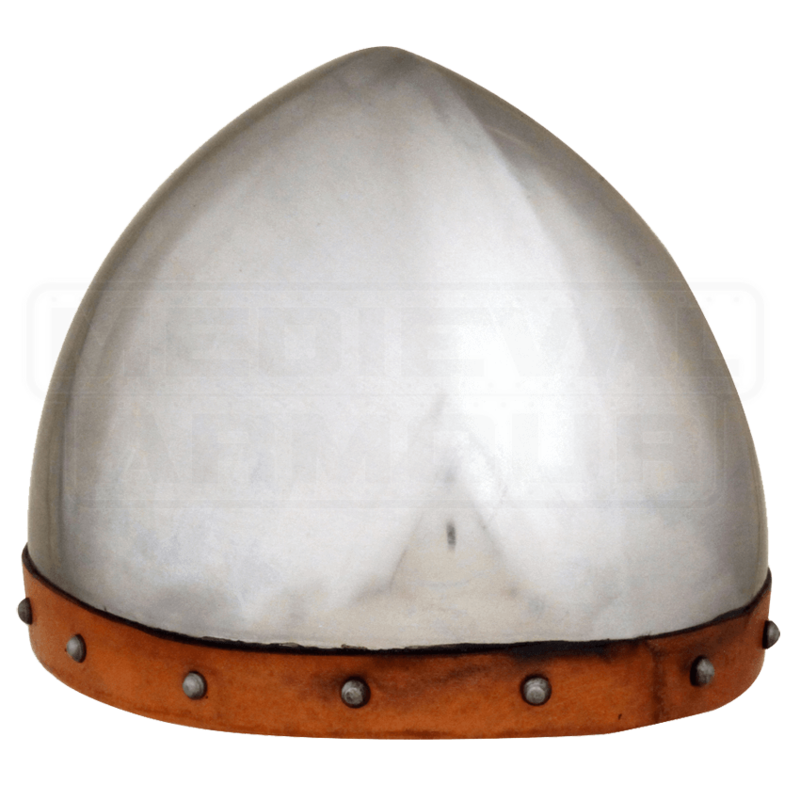 This ensures that if they lost or discarded their great helm in combat, a warrior still had some protection for their head to fall back on.